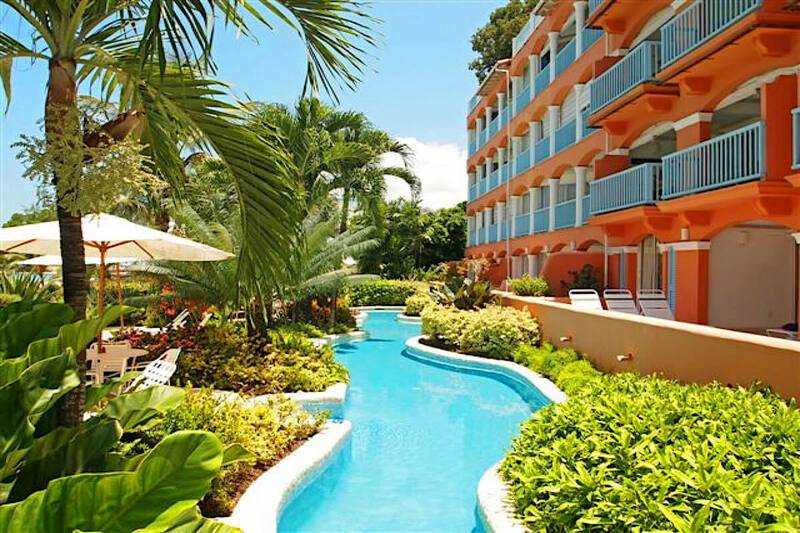 Situated on one of the famed West Coast beaches, Villas on the Beach has one of the best locations in Barbados. The complex itself is in Holetown, so it’s very easy to indulge in local restaurants, shopping, nightlife, and more. Villas on the Beach #102 is a ground floor rental that consists of 3 bedrooms (each with en-suite bathrooms), a fully equipped kitchen, living area, and dining area. Outside, there is a private patio with direct access to the communal pool and gardens. Better yet, the beach is only steps away! And when you’re ready to beat the heat, Internet access is also available, as well as media entertainment options. Conveniently located in the heart of Holetown, St. James, Villas on the Beach is ideal for families or a small group of friends traveling together. Well-known architect, Ian Morrison, designed this property. He is known for his development of some the most luxurious and exclusive properties across the Caribbean. Unit #102 is a ground floor apartment with three bedrooms and three bathrooms. A large patio is perfect for sunbathing and offers direct access into the pool through a door (which can be kept locked if you prefer). Each bedroom features an en-suite bathroom, and is fully air-conditioned. Ceiling fans are provided for additional comfort. Guests have easy access to local restaurants, beach bars, bistros, shopping and a grocery store – by simply walking! Villas on the Beach is within close proximity to pretty much anything you’ll need.